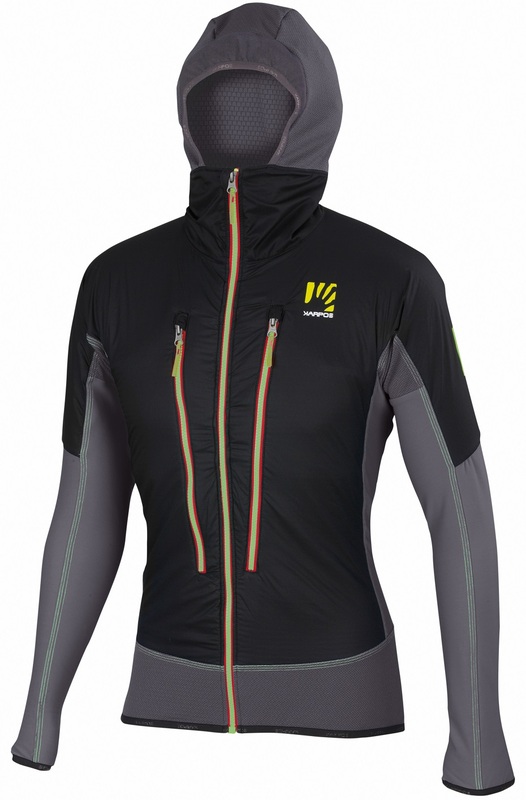 Winning awards as one of the most advanced cold-weather speed-touring jackets on the market, the Karpos’ Alagna Plus jacket is here for your warming pleasure. Body-mapped as a tattoo artist, the Alagna Plus incorporates 60g of Polartec Alpha insulation in strategic areas. That’s just enough insulation to take the bite off those cold dawn patrols and mid-winter mornings without getting boggy like a typical puffy. The front half of the jacket is K-Shell, a stretchy DWR-finished fabric that’s breathable and free to move, even with the added insulation. The back and hood are Thermo Fleece to increase breathability and to vent excess heat without compromising the weatherproofing capabilities. 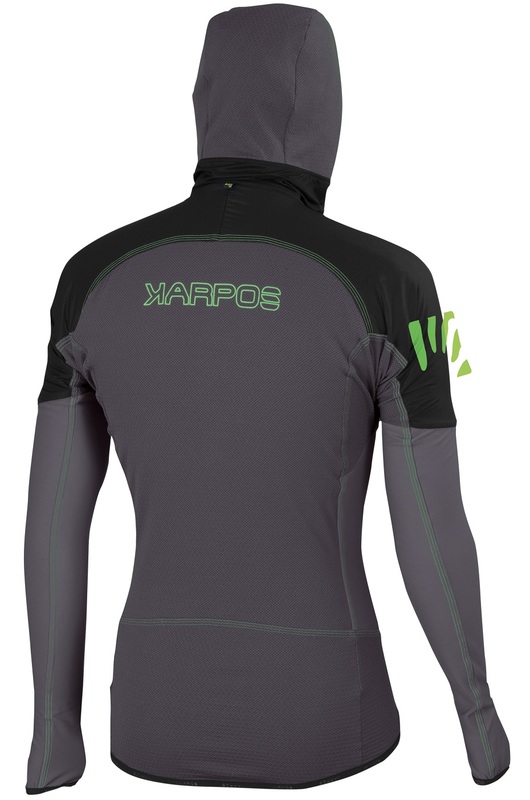 From the elbows down is Thermodrytex PL+, a Karpos special that’s breathable, stretchy, and durable. 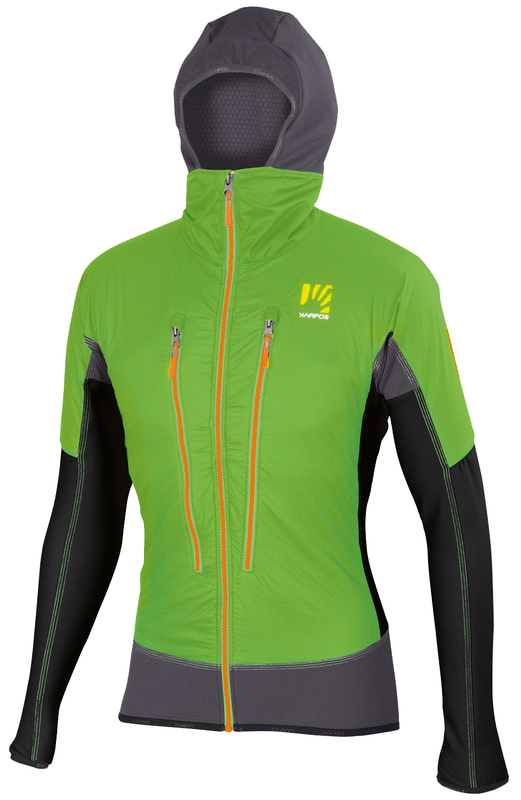 Combining the stellar ventilation, freedom of motion, and insulating properties, the Alagna Plus jacket is a real winner. Two large chest pockets are designed around large skins, but is a great place to store hidden treasure you find on the skin track. Huge YKK Zippers throughout offer smooth operation and eliminate jamming. Elastic trimmed hood, waist, and wrists seal out the drafts. This is a great jacket. I have been using it for skinning up all winter long either with thin short sleeve base layer or various thicknesses of long sleeves. I suspect that during warm spring days I will keep bringing it as layer for descents. The front fabric (on mine is green) protects just well against wind but is still very breathable. The jacket fits quite tightly thanks to its cut. The only complain I have (hence the 4 star rating) that the waist portion of the jacket occasionally slides up when wearing my soft-shell touring pants, but not as much when wearing a race suit. 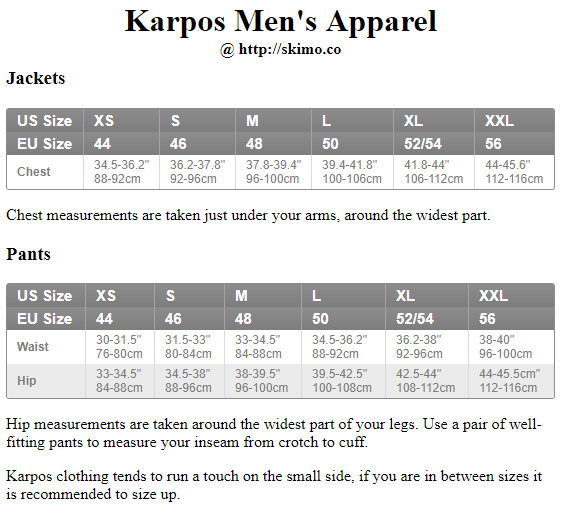 It's quite true to size as I am wearing it in Large and I am 186cm and 75kg (google it in your units).